In July, the 33-year-old football superstar accepted an 18.8 million euro fine and a suspended two-year prison sentence as he pleaded guilty to tax fraud in a Spanish court. According to the documents seen by El Mundo daily, football ace Cristiano Ronaldo, 33, who had to pay 18.7 million euros to settle his tax fraud charges, now owes two million less to Spanish tax authorities. He has already doled out 13.4 million euros, the report says. In line with Spanish laws, had Ronaldo failed to strike a deal with the authorities, he could have faced a fine of 28 million euros and a 3.5 year prison sentence. Last month, the Portuguese striker agreed to pay €18.7 million to settle his tax fraud case, in which he admitted to dodging higher tax rates on his image rights between 2011 and 2014. Ronaldo's agreement with Spanish taxmen also includes a two-year jail term which he won't serve as a first-time offender in a non-violent crime. Cristiano followed the likes of his former Real Madrid teammates Fabio Coentrao, Pepe, Ricardo Carvalho, and Angel Di Maria as well as Barcelona rivals Lionel Messi, Alexis Sanchez, and Javier Mascherano, who had similar tax issues related with image rights. 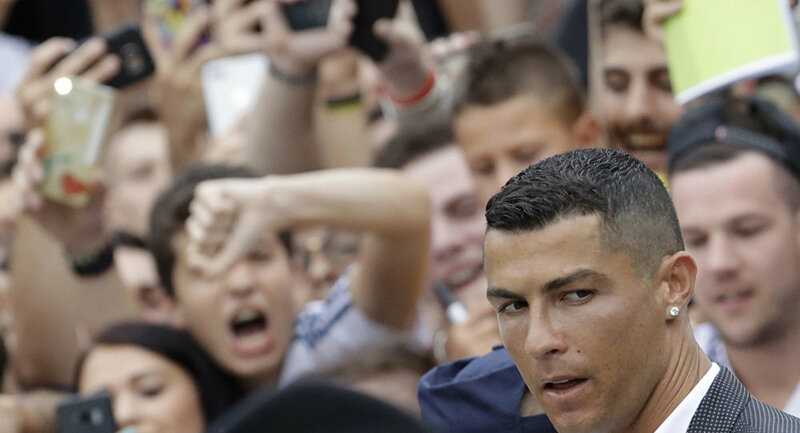 Sports media and football figures have argued that Ronaldo's recent blockbuster move to Italian champion Juventus from Real Madrid had something to do with his tensions with Spain's tax authorities. La Liga president Javier Tebas suggested that the Italian tax regime did contribute to the departure, saying that Ronaldo would "earn more in net salary" in Serie A, even if he got the same wage than Real Madrid offered.